25 Awe-Inspiring Photos from 2012 – SKYE on AOL. All I have to say is this was an epic moment in two ways. 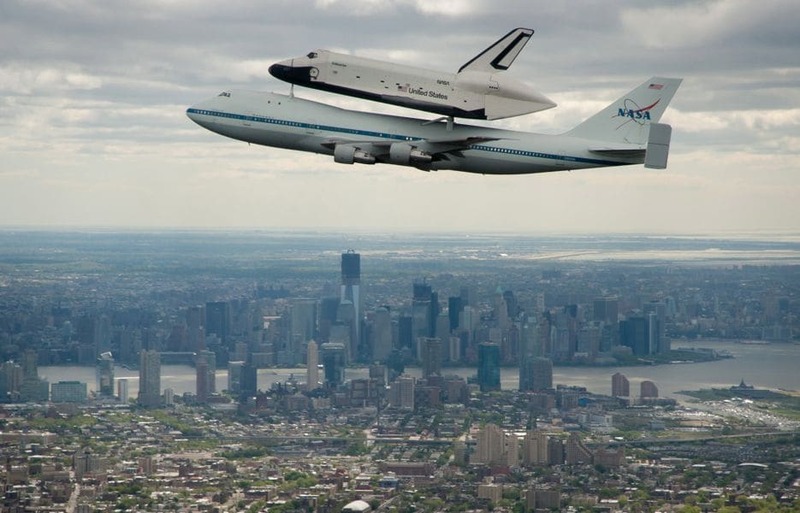 Mounted atop a Firstly, NASA 747 Shuttle Carrier Aircraft, the space shuttle Enterprise is flown over New York with One World Trade Center in lower Manhattan in the background. Secondly, this was the final flight of the Enterprise before it was moved to the Air and Space Museum. Just the photo alone will be memorable in the future. ‘Storage Wars’: Darrell Sheets Gets Biggest Payout In Show’s History (VIDEO). This is one lucky guy he only paid $3,000 for a locker full of art and got a $300,000 return on his investment. Pretty good I think. As for the lawsuit by Dave Hester who was formerly on the show, Darrell Sheets the man above says the lockers are not rigged and plans to give back some of the artwork to the artist who says that the artwork was hidden from him by an ex. Adam Lanza Identified As Suspected Shooter At Sandy Hook Elementary School In Newtown, Connecticut. My hearts go out to the victims of this horrible shooting. The system in general has failed again to prevent these occurrences and we the people pay for it all. Let these angels who were taken be a reminder to us all. Best Photos 2012: Amazing Photography From Around The World (IMAGES). Interesting and inspiring photos. The carnival photo is my favorite one of all. The image is quite spectacular when you look closely at the dancer but from far away it looks like an abstract painting. Merneptah’s Sarcophagus: Biggest Ancient Egyptian Burial Box Identified Near ‘Valley Of The Kings’ (PHOTOS). New York Nanny Offered $30,000 To Donate Eggs To Employers: Report. There is more to this story and interesting one at that. Is the request really that ridiculous? What the video.